So...I'm wondering. What are some of your guilty pleasures? Why this is on my mind...I have no idea. Maybe it's the general go nowhere of my writing day. In any case, there it is: guilty pleasures. I'll go first and confess to a few of mine. But I can fast forward through that disaster. Here's one of the reasons that show is so compelling. Who can resist those baby blues? And he writes poetry. Poetry! Another guilty pleasure? Okay, I admit it, I'm a girl: shopping. Love to shop.Here's where I go when I don't feel like getting in the ca r: myshape.com. Yes, you have to do a WHOLE lot of measuring, but once the numbers are in, they only recommend clothes that fit your shape, AND they tell you what size to get. Plus they have really cool clothes. I bought the dress for my daughter's wedding there. So, OLTL, shopping, and...gee, there are so many, its hard to choose. How about...potato chips? Yup, that is a REAL guilty pleasure because once I start I can't stop and by the time I've gone through half a bag I feel soooo guilty about all the reasons why I shouldn't have (fat, calories, salt, etc.) that I almost can't enjoy them. 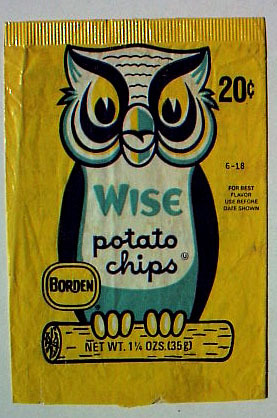 Here's the brand I grew up with, the one that seems the most delicious in my memory. They don't carry this brand in Nashville, so when I do indulge I have to make do with Lays. Not the rippled kind either. And no cheese or vinegar or sour cream or other chemical additives to make the chips taste like something else. Just plain, clean, salty, fried goodness. Or, depending on how you look at it..badness. So, there you have it. Three of my guilty pleasures. But enough about me. Anyone out there want to confess to some of your guilty pleasures?